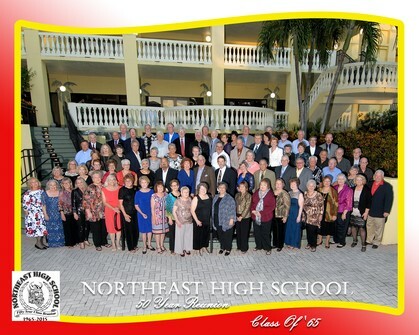 Welcome to the Northeast High School Class Of 1965 website, originating in our hometown of St. Petersburg, Florida. We hope you'll take advantage of this website to catch up with old friends and also make new ones. New Users: Please click on "Join Here" (at right) then go to "Classmate Profiles," find your name, then register. You cannot access other classmates' profiles until you do. After you register and gain full access, you're ready to begin exploring the site. Check out the forums as well, for info on activities, messages from other classmates, and to learn how to use some of the special features available here. Have some fun while you're here! We're glad you came, and we want you to stay a while! Play some music videos (Studio '65), chat with us (Class Chatter), upload your pics to your profile, or just hang-out like the old days at NeHi! It's your website, so talk to us in the forums and through private emails straight from the site. Let us know how we're doing...and especially, how you're doing! To save above image to your computer, right-click on it and select "view image," then, on the new page, right-click on it again and select "save image as" to download it. If you are a faculty member or an Alumni from another class year and you would like guest access to our site, please use the "Contact Us" link to the left and be sure to include your full name (maiden), years you were at NEHI, and the graduation or faculty year(s).